Our thanks to David Van Brakel from Hello Amsterdam for this great article on the best places to see in Amsterdam with little ones! For more great information, check out our Day in the Life in Amsterdam guest post! For many, the capital of the Netherlands comes to mind as a lively city with a vibrant nightlife. Not surprisingly, many might think it is not the most family-friendly city to travel to with young kids. However, after visiting Amsterdam with my family, I discovered that it’s in fact a great family destination with its numerous green spaces, baby stores, and awesome playgrounds. I was happily surprised by the number of baby-friendly spots ranging from kid’s boutiques and blended concept stores to tasty baby-friendly restaurants. Since the city of Amsterdam sees a lot of rainy weather throughout the year, it’s a good thing that indoor playgrounds are plentiful. Thanks to our friends’ guidance, we discovered, TunFun Speelpark, a must-see destination for us. This indoor place has everything from ball pits galore to various bouncing structures and slices. More importantly, these areas are specifically designed for babies and toddlers. Located in the trendy De Pijp, De Kleine Parade is an all-in-one destination–a boutique for kids, a party space, and a play café. We liked the small play area featuring a train set and the uniquely designed event space. The kids just loved their cheese toasties with ketchup. We would recommend a nice cup of coffee for the parents. This is a must do while visiting Amsterdam! 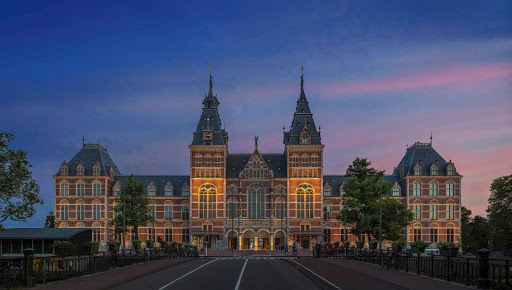 Amsterdam is home to dozens of world-renowned museums and the Rijksmuseum is certainly one of them. 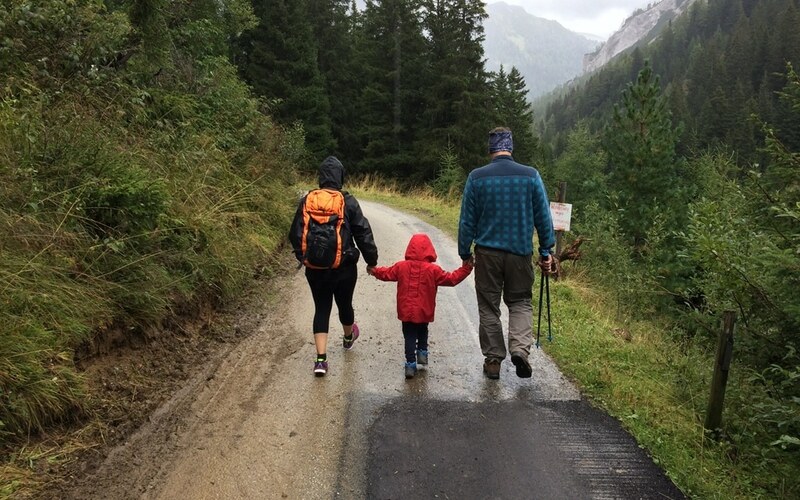 We had heard that it was great for travelers with small kids. I can honestly say that we were not disappointed. From seasonal workshops to scavenger hunts, there is more than enough to keep the kids busy and entertained. If you’re planning on visiting more than one museum during your stay, opt for the Museumkaart. This card gives you access to museums, a few castles in the country, and some exhibitions. It also allows you to skip the lines at some popular museums via the express entrance, which is great when traveling with impatient babies! Next on our list of baby-friendly places in Amsterdam is the awesome Minimarkt, a drink-shop-do concept store with a cute interior. The dreamy bedroom décor looks amazing and the neon signs inside are fun for the kids. They also sell delicious food here including amazing homemade jams. The only downside of the Minimarkt is that it’s usually quite packed with visitors. Plan to go when the kids are in good spirits! 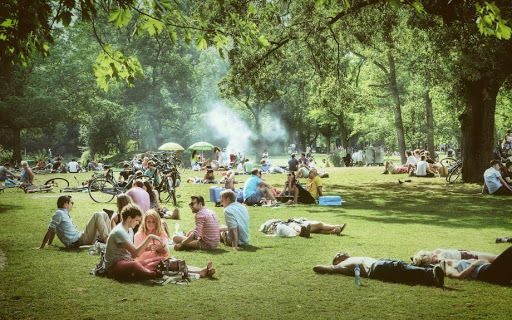 On your first sunny day, schedule a visit to the popular Vondelpark. It’s a big park with a wonderful playground, paddling pool, and sandpits where the little ones can play. We were lucky enough to catch the open-air theatre performances including puppet shows and acrobats. If you want to take a break and have a snack or a drink, there are dozens of lovely cafés and eateries in the park. There are many baby-friendly places to eat in Amsterdam that guarantee a delicious meal and a relaxed atmosphere. Here are a couple of our favorites! We were looking for home-style cooked dishes and Moeders did not disappoint. Established in 1900, this Dutch restaurant greets you with its inviting albeit simple décor. Kids like it since none of the utensils match the plates and there are framed photos of moms on the walls. To keep the little ones occupied, there is a nice indoor play area with coloring books and toys. 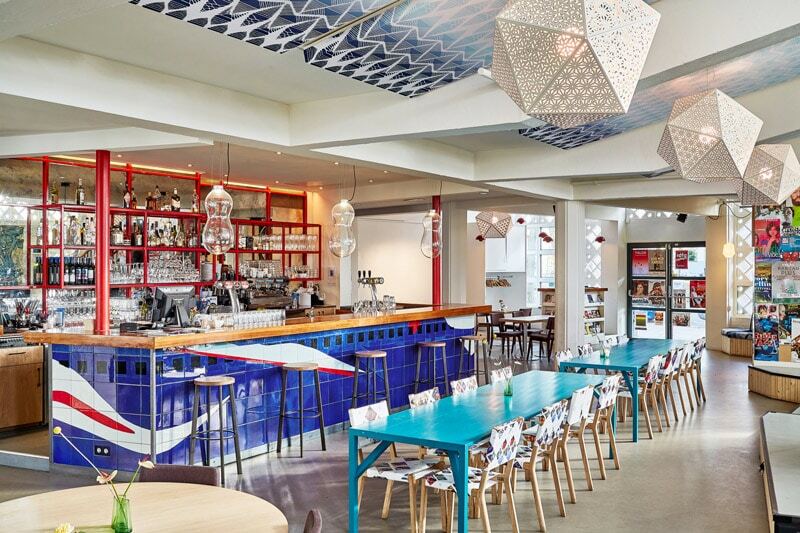 If you’re looking for a tasty brunch with a playground for kids, head out to the Podium Mozaiek. They offer a Turkish breakfast served on small plates. Your kid will probably find something he or she enjoys. Personally, I love that there is plenty of free space on the terrace for the kids to roam around, not to mention the convenient changing facilities. As for the food, I recommend their tasty chorizo skewers! We loved Jordaan district’s La Perla which is all about Napoli-style pizza. The crispy pizza with buffalo mozzarella was incredibly fresh and all the ingredients are apparently imported directly from Italy. 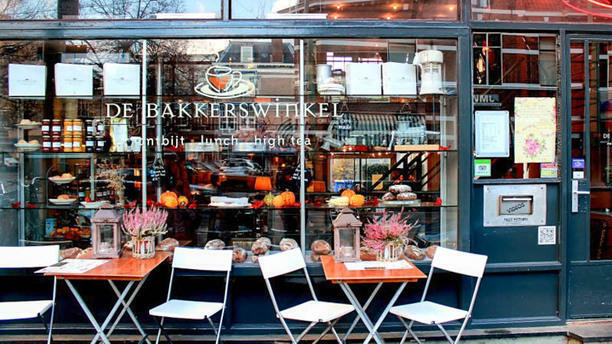 With its simple spreads and variety of desserts, De Bakkerswinkel is an ideal go-to café when babies are in tow. They have high chairs, changing facilities, and plenty of toys for both babies and toddlers. The food was great–our favorites were their cakes, quiches, and scones with ham and cream. Also worth mentioning–it was one of the most affordable child-friendly places we found in the city! While Amsterdam is an incredible city thanks to its vibrant nightlife and bar scene, it’s also a fantastic destination for traveling families. If you are looking for your next vacation spot, it’s worth adding to your list as there are so many wonderful family experiences waiting for you!